Nashville, TN – Senator Jim DeMint, President Heritage Foundation, is scheduled to speak on Monday, February 23, during the Reel Dreams Dinner at the NRB 2015 International Christian Media Convention in Nashville, TN. Jim DeMint rose from modest South Carolina roots and a career in marketing to build and lead a resurgent conservative caucus in the U.S. Senate. 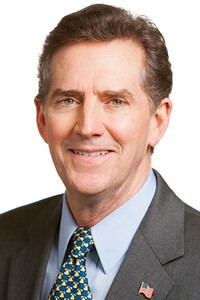 In April 2013, DeMint became President of The Heritage Foundation, a leading think tank that helps the conservative movement better communicate conservative ideas and solutions. In 1983, DeMint started the DeMint Group, a Greenville-based marketing research and strategic planning business. He was elected as a Republican to the first of three terms in the U.S. House of Representatives in 1998. DeMint kept his promise to serve only three two-year terms in the House. His reputation as one of Washington’s most principled conservative leaders grew after his election in 2004 to the U.S. Senate, where he continued to advocate limited government, individual liberty, a strong national defense, and traditional values – all core tenets of America’s founding and Heritage’s public policy mission. He is the author of several books. His latest, Falling in Love with America Again (Center Street, 2014), debuted at #1 on The Washington Post’s bestseller list.